Interview for ‘Expat Tales’ broadcast on CRI, China Radio International, Beijing and ‘Heartbeat’ broadcast on Strait to Taiwan. 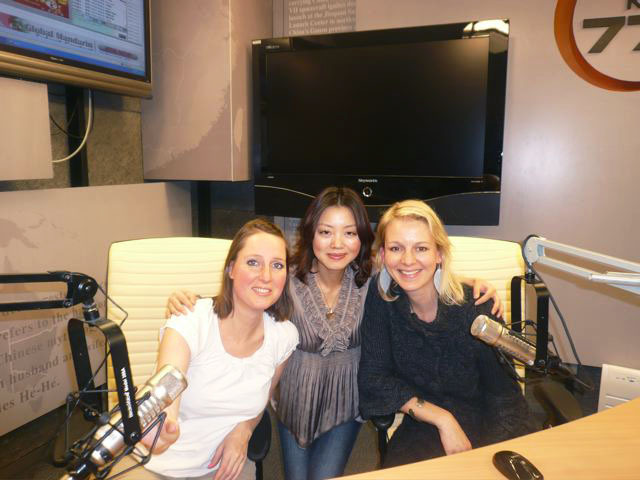 Talking with Julianne Page in Beijing it aired at 4.40pm 1st February. 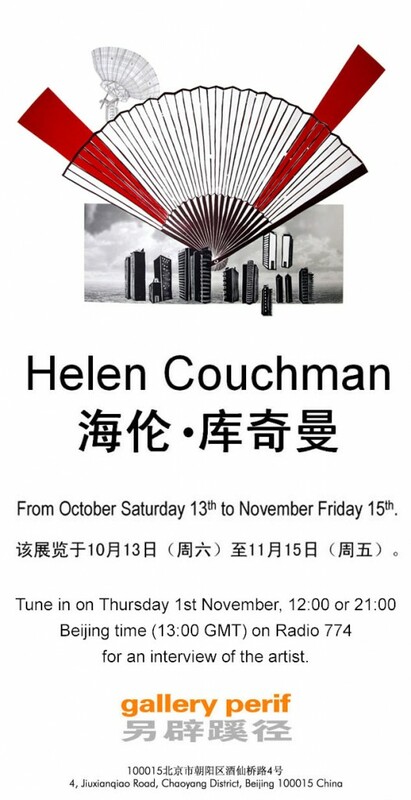 Helen Couchman is an artist who first arrived in China via the trans-Mongolian railway from Moscow in February 2006. Since that time she has exhibited widely in China and other countries and published two books. 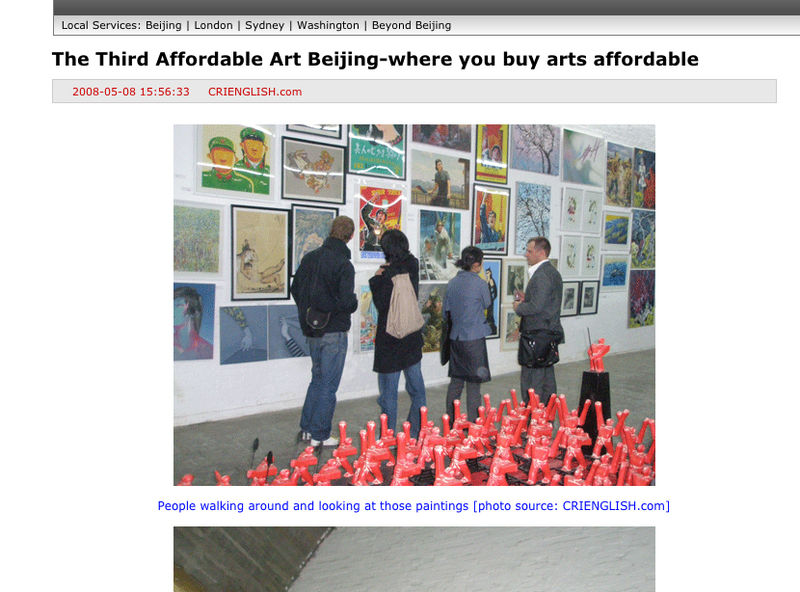 Helen is based in Beijing and is continuously influenced by what she sees around her. Welcome to Heartbeat, the show that gets to the centre of China’s ever-changing lifestyle, yet still manages to discover the country’s rich cultural heritage. I’m your host Man Ling. Today we’ll introduce you to four people who are working in different fields but contributing to society in their own ways. First up we’ll hear the story of a retired female worker who has committed herself to the task of cleaning up Tian’anmen Square for the past seventeen years without compensation. Then we’ll meet a young man who specializes in IT technology but chose to give up his reliable income and career prospects to become a farmer. Later we’ll meet a photographer who hopes to show people the true spirit of China and Chinese people through his photographs. And last but not least, we’ll meet an expatriate living here in Beijing who, inspired by her life in China, continues to make exciting works of art. China Radio International 1008AM, 846AM, 91.5FM. World service on London 558AM, Nairobi 91.5FM – Mongolia 103.7FM – Laos 93.0FM – Perth, Australia 104.9FM etc. Live interview for Talk Box on Beijing Radio, 774am. 2nd March, 11am-12noon. 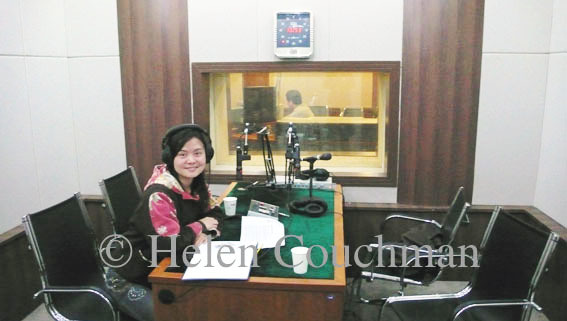 Presenters June Lee and Dominic Swire interview Helen Couchman about her work, her book WORKERS 工人 and living in Beijing. Helen Couchman interviewed about the book, WORKERS 工人, for the CBC by Jian Ghomeshi on his daily culture show Q: Arts and Culture. It was recorded live in Canadian Broadcasting Corporation’s London studio as Jian was visiting for a week to broadcast from the UK to celebrate Canada Day. The interviewed is approx 35 minutes into the 1 hour show. First on is Sebastian Faulks talking about writing the thirty-sixth James Bond story, Devil May Care.